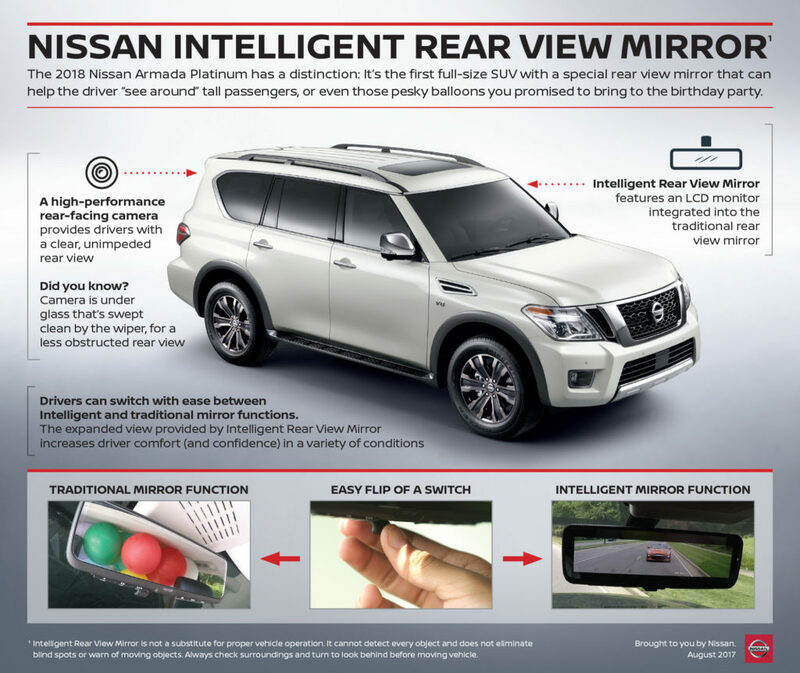 Nissan late last month announced it would offer an “Intelligent Rear View Mirror” which can offer both a typical reflection and an LCD display from a rear-facing camera. This feature, similar to one GM offers on certain trims on the 2017 Cadillac CT6, will be standard on the Platinum Armada. That variant doesn’t come cheap; the Platinum 4×2 is $58,690, and the 4×4 Platinum is $61,590. But while it might be rarer than other Armadas (and the entire Armada line only sold 14,035 last year), it’s still yet another piece of technology of which a repairer should be aware. That screen/mirror combo and what might be an additional camera required to use it will increase severity, and their existence likely means more calibration will be necessary. 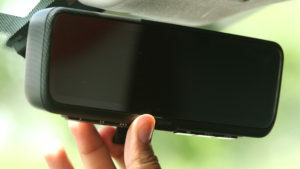 Switching from a low-tech mirror to the LCD display has many benefits besides giving Nissan bragging rights for being an “(e)xclusive in the full-size non-luxury SUV segment.” It allows a driver better visibility in situations where the typical rear view is obstructed by a headrest, tall passenger or objects carried in the back of the SUV; it compensates for glare and low light; and it shows more of the view behind the car. These kinds of benefits make a good case for granting automakers’ request for exemptions from traditional mirror rules. The system also works while the Armada is in drive, something the traditional RearView Monitor doesn’t appear to do. The new system can be activated on the fly without creating complications, according to Nissan.